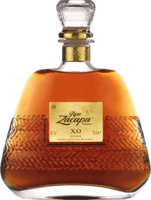 “I generally prefer sweeter, spanish style rums. Not a big fan of the french style agricoles (with some exceptions). My favorite 9,8 Just had this one again after a long period of other rums - and it’s still my favorite. Yes, it’s very sweet, but it’s also very tasty and aromatic. Almost too gentle? Was part of Rum Calendar 2016: Smooth, mild, well balanced, sweet, but not so much character - and probably overprized. Delicate Part of Rum Calendar 2016: very nice scent of caramel, well balanced, delicate, but a bit thin and a short aftertaste. Classy, but maybe a bit shy Nose: oak, with pretty much character for a 10-year old. Palate: smooth, warm, slightly woody taste. Not very aromatic, but hey, it's ok for his age. Not bad for such a young rum Nose: Vanilla, caramel, pleasant, maybe a bit artificial. Palate: sweet oak, aromatic but not very complex. Pretty smooth. Tasty but skinny Pretty tasty, a bit clean maybe, slightly sharp, but not too much. Nice scent in the nose, but i miss some more body. Warm and long lasting Nose: Oak, slightly sharp Palate: Warm, wide and long lasting scents of caramel and toffee. Slightly spicy, but still sweet. Well balanced. Subtle, almost shy This young rum is very subtle in nose and palate. Not very aromatic, but smooth and pleasant. But I miss the character of more aged rums. Fancy orange This is not a typical rum. It tastes very fruity (orange) and pretty sweet. Maybe a bit artificial? But a really great artwork on the bottle! Very Orange! Very sweet, almost sticky as sirup. Tastes very orange in nose and palate. Some hints of coco are included as well. Maybe a bit artificial. Very sweet Strong coconut taste, almost like a syrup. Not very classy, not very rum-like. Nice scent but poor body Nose: sweet and pleasant toffee, well balanced Palate: spicy, but poor body. Did expect more after the aromatic scent in the nose. Pretty tasteless This one was part of the Rum Calendar 2016: it was pretty tasteless. Spicy Agricole Tastes spicy, wooden and a bit smoky. And it's too sharp for me. Aromatic scent Funny, aromatic, fruity scent in the nose. Some hints of tequila(?) Pretty sharp and short on the palate. Can be used for Mojitos Palate: almost tasteless, just like water, boring. Young and industrial. Not to compare with elaborated rums. Not much character (diluted?) Nose: a bit fruity and sweet but also a smell of alcohol. Rather shy. Palate: thin, (diluted?) alcoholic, no volume, no body, not much taste. Austrian agricole Somewhat between whisky and grappa, not typical rum. Nah, too sharp Not my rum: too smoky, too strong taste of alcohol and too sharp. Fishy Did not like this one at all. Very oily, tastes fishy to me. Strange European Nose: a mix of Lychee (?!) and Olives. Disgusting. Palate: a strange, sharp taste. Does not taste like rum at all, rather like grappa.